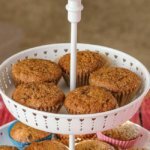 Bonfire Tea Muffins are the perfect fall treat, full of raisins and pecans and perfumed with fall spices and Adagio Tea’s Bonfire Tea. Adagio Tea sent me some teas to play with, and my favorite so far, the Bonfire Tea, resulted in these muffins. When Adagio Tea contacted me about trying some of their teas, I agreed because I was instantly intrigued by their chocolate teas. And I am definitely enjoying those teas, but it was actually their Bonfire Tea that was the biggest hit. Sammy and I love it with some sugar and cream, but as soon as I got one sniff I knew I also wanted to incorporate it into my baking. And if you are curious, I have since ordered more of the Bonfire Tea in particular, paying for it myself. My creating these Bonfire Tea Muffins caused quite the debate in my family. You see, I adapted it from an old family recipe. A recipe that my mom and my brother Nick adore and have always referred to as Spice Cupcakes. Now I realize this is a pretty Western, First World, 2017 perspective, but if it doesn’t have frosting I am not calling them cupcakes. Plus they have nuts! Nuts and dried fruit! As far as I am concerned you are now in health food territory. So that was the first debate–were they muffins or cupcakes? I feel confident my adaptation is firmly in muffin territory, but I guess we will continue to debate the original! The second debate occurred because I specifically was attracted to using the recipe because it is an example of old fashioned baking where coffee was used for its flavor, but the resulting baked good is not coffee flavored at all. It seemed to me this would be a great spot to try adding tea instead. Now she was not here to try them, but I am pretty sure I won the argument. These were devoured. 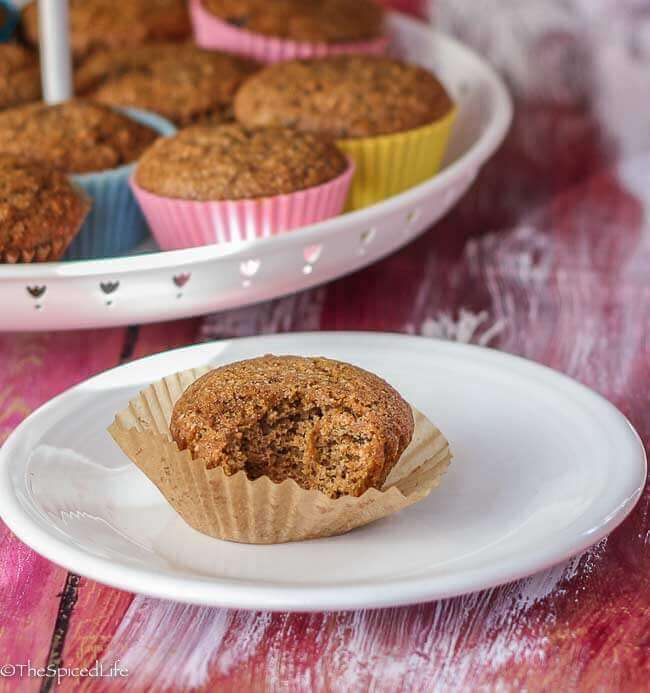 And while we won’t call them Aunt Alice’s Spice Cupcakes, we will call them really tasty Bonfire Tea Muffins adapted from Aunt Alice’s Spice Cupcakes. I never met my Great Great Aunt Alice, but speaking as a cook, baker and recipe maker (hey I rhyme!) I am sure she would understand my tinkering. 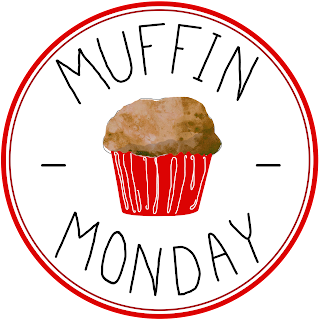 After a bazillion months off, I finally got around to participating in Muffin Monday again, so please go check out what everyone else made! I love muffin baking in the fall…. Adapted from my Great Great Aunt Alice. My mom and my brother Nick considered them (the original recipe) cupcakes and ate them without frosting. To me they always seemed more like muffins! The original recipe uses coffee, so I thought I would try using tea and it was a brilliant move! Make sure you steep the tea for the full 10 minutes, to ensure strength of flavor--and if you do not have Bonfire Tea, I think a chai would substitute well. Place the oven racks in the upper and lower thirds of the oven. Preheat the oven to 350 F. Line 2 12-well muffin tins with silicone or paper cups. Lightly spray the cups and rims of the wells with oil. Set aside. Whisk together the dry ingredients in a medium sized bowl and set aside. Place the water and spoiled milk in a small saucepan over medium heat. When it is almost simmering, add the tea leaves. Stir, bring to a simmer, and then turn the heat off to steep. let the tea leaves steep for 10 minutes. While the tea is steeping, melt the butter and set aside to cool. When the tea is done steeping, pour the milky tea through a fine mesh sieve into a bowl and let it cool. Whisk the butter with the brown sugar. When the milky tea is cool enough to dip a finger into it without burning your finger, drizzle it into the butter-sugar mixture while whisking. Whisk to combine completely. Add the eggs one at a time and whisk. Fold the dry mixture into the wet mixture. When it is almost completely combined, add the raisins and nuts. Combine completely but do not overmix. Divide the batter between the prepared muffin cups. I like to use a large cookie scoop for this. Bake for around 25 minutes, until a toothpick or cake tester inserted into a center muffin comes out clean or with only a few crumbs attached. If you do not have a convection oven, rotate front to back and top to bottom halfway through. Let cool in the tin for 5 minutes and then turn the muffins out onto a cooling rack to finish cooling. When the basis of this recipe was created, I think people often had spoiled milk in the kitchen. These days I am much more likely to have spoiled cream--so I used my spoiled cream with sweet milk and assumed that would be sufficient. It was. 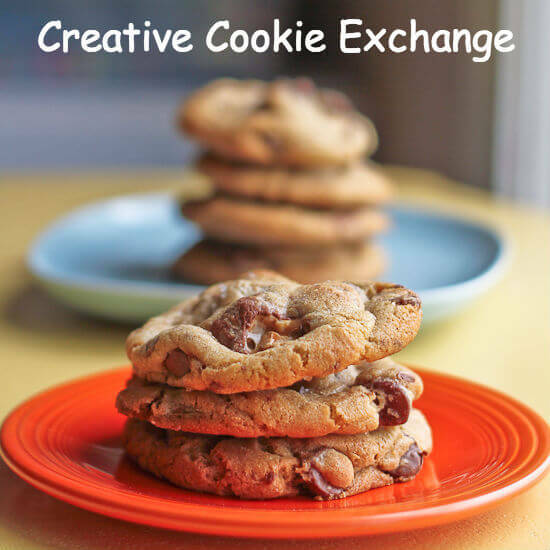 I was intrigued by your title, Laura, and the recipe doesn’t disappoint. 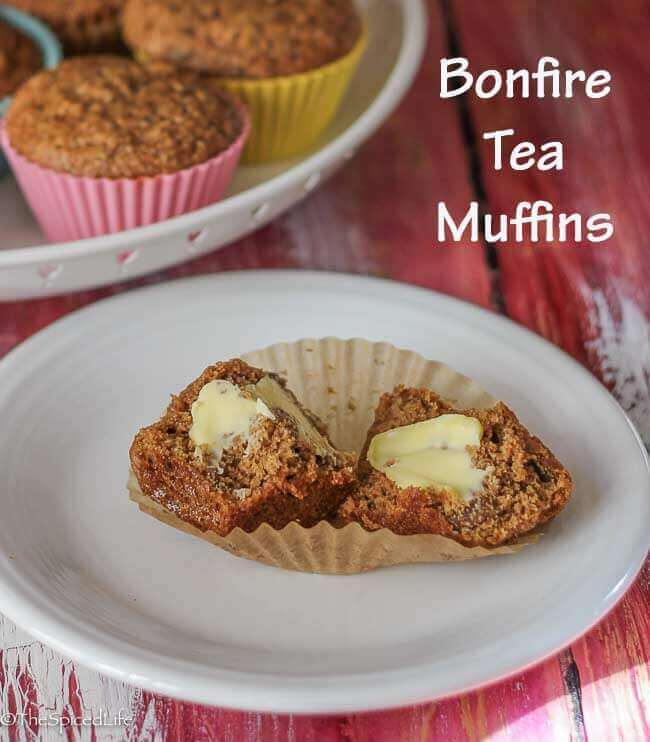 Bonfire tea and its resultant muffins sound like the perfect treat on a chilly day. Wait, spoiled milk? Explain, please! I have chai lying around and would love to make chai muffins, so I think you’ve just inspired my next muffin creation with Great Aunt Alice’s cupcakes. Spoiled milk is a really common ingredient in old baking recipes, I think because milk went bad faster back then. Spoiled milk/cream is always great for baking. I suspect it acts a little like buttermilk or yogurt, so just from a chemistry perspective it makes sense to have some acid in the recipe if you are subbing for it. Like maybe low fat milk plus a few tablespoons sour cream whisked in would be another possible sub. 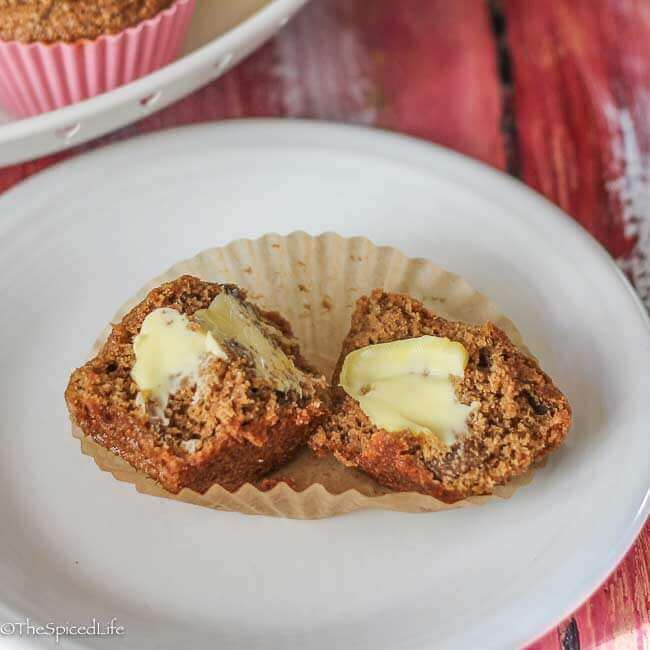 These muffins are chock full of healthy ingredients not the least of all being the antioxidants provided by the tea. Sound absolutely delicious. What a cool idea! The spoiled milk sounds very intriguing! So glad you’re baking with us again! Goodness, do all you young cooks throw away spoiled milk? what a waste! use it for bread as well as other baked goods. Aunt Alice would approve any creation you make, Laura. After all you were named for her baby sister.